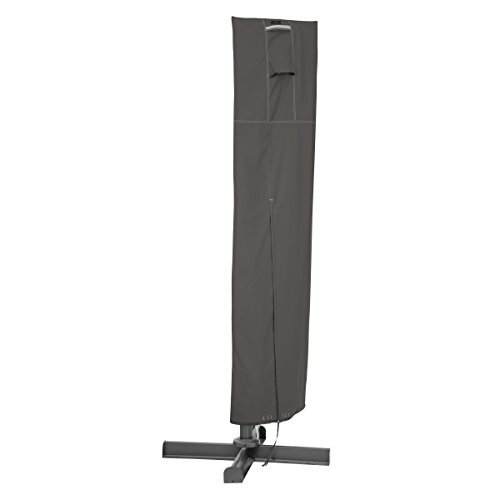 Fits most offset umbrella frames and canopies up to 13 feet round in diameter or up to 9 feet square. Gardelle One is a durable woven polyester fabric with an added UV-stabilized coating and a water-resistant laminated undercoating. Water-resistant backing keeps your patio items dry while elastic hem cords move easily through a special channel for a snug fit. Reinforced heavy duty zipper with double-stitched seams add strength and a stylish accent. Limited lifetime warranty.